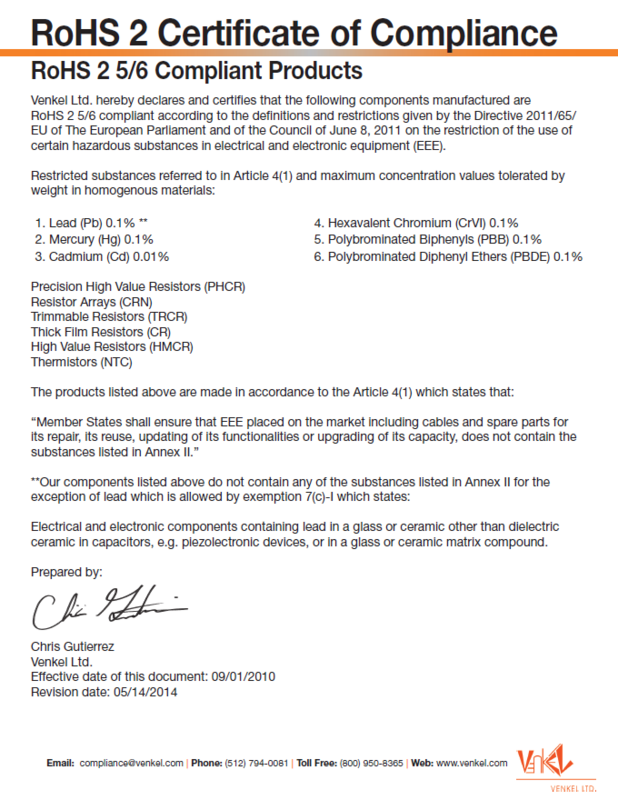 Venkel Ltd. exercises social responsibility while providing quality products that are ensured to meet or exceed the standards of the Surface Mount Components industry. 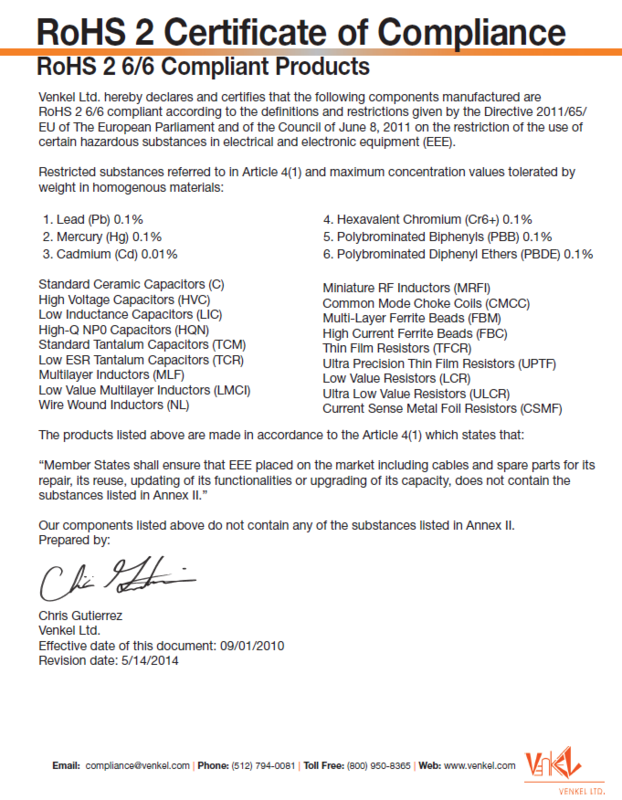 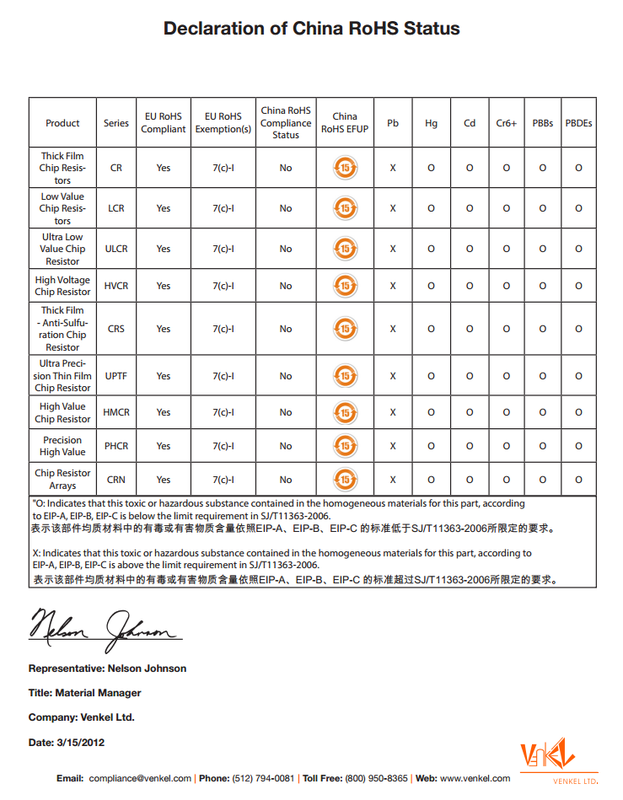 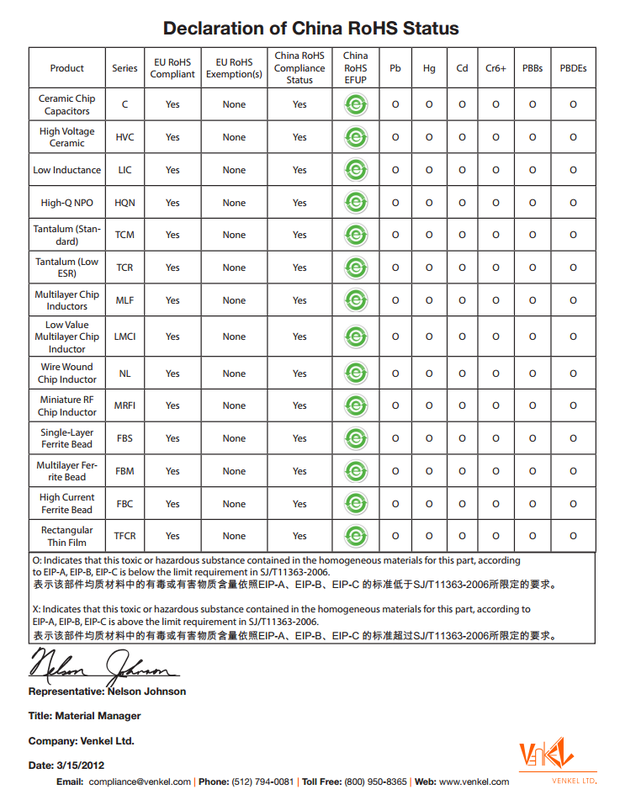 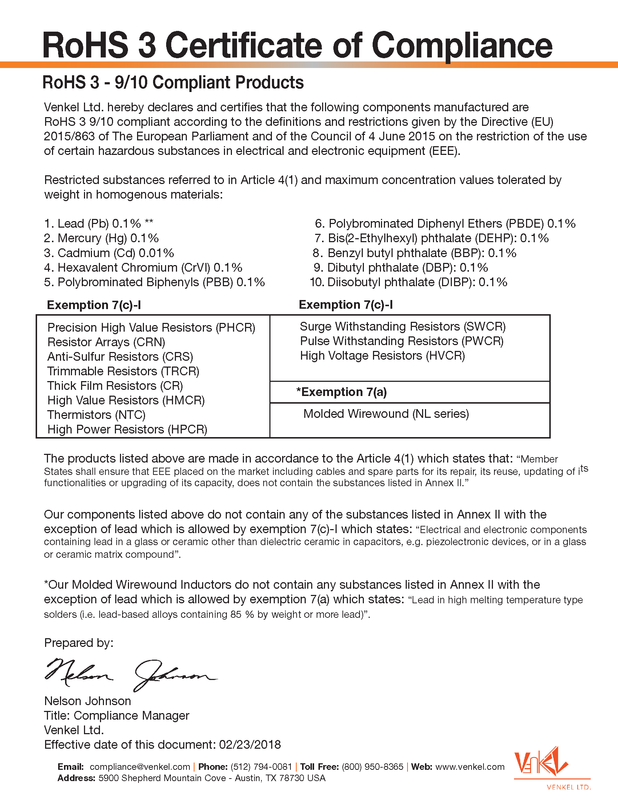 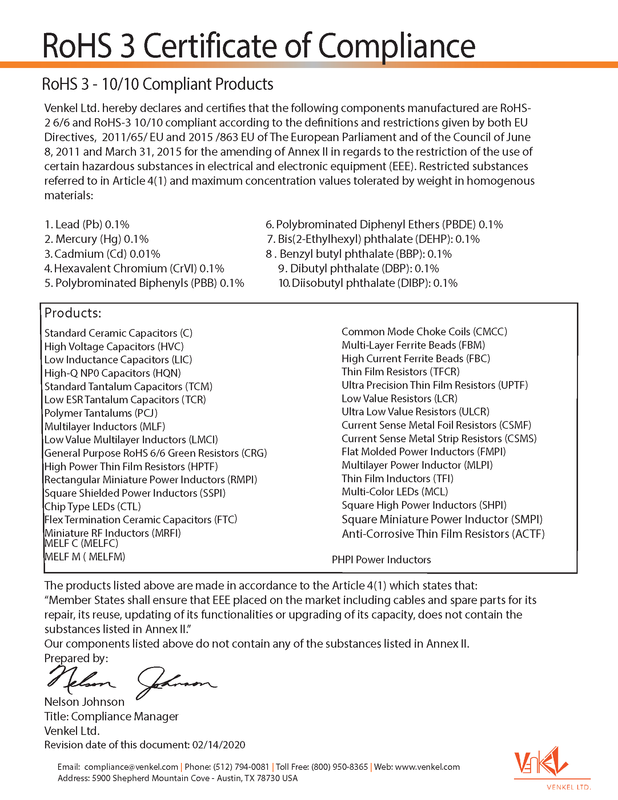 All products sold are RoHS 2 compliant. 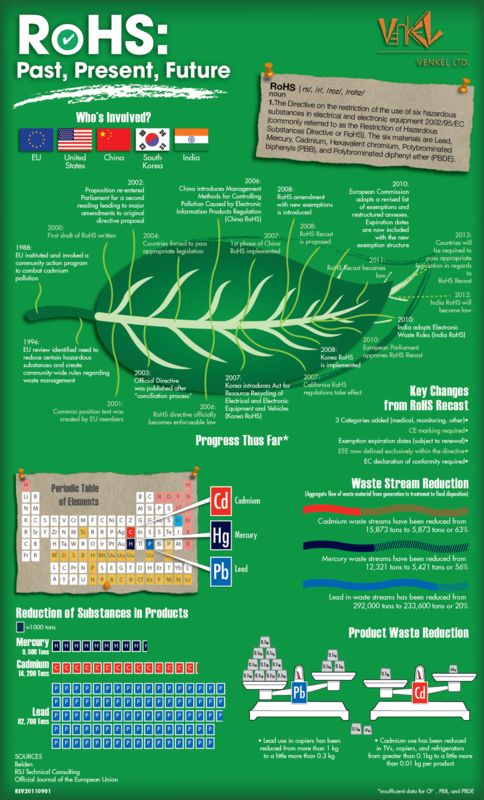 A snapshot of RoHS including milestones and facts and figures that illustrate the impact that RoHS has had in reducing the six hazardous chemicals.